This coming Sunday (New Calendar) marks one of the greatest feasts of the Orthodox year, the Feast of Theophany, Christ’s Baptism in the Jordan river. 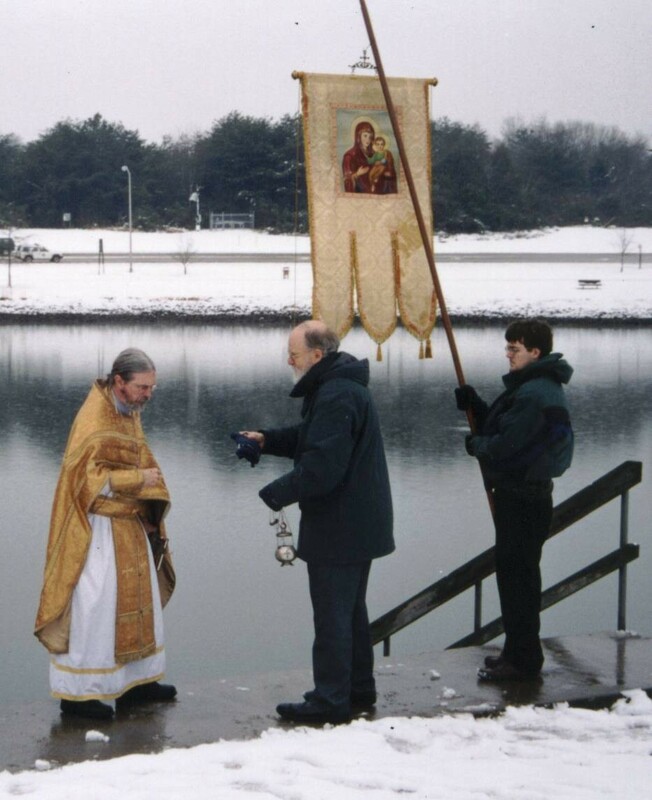 Across the world Orthodox Christians will gather after the Liturgy to bless the waters: the ocean, a river, a spring, etc. Yet God my King is from of old, working salvation in the midst of the earth. Thou didst divide the sea by thy might; thou didst break the heads of the dragons on the w aters. Thou didst crush the heads of Leviathan, thou didst give him as food for the creatures of the wilderness. A wonderful image, thanks! And an early Merry Christmas to you and yours from a fellow Pravoslav. 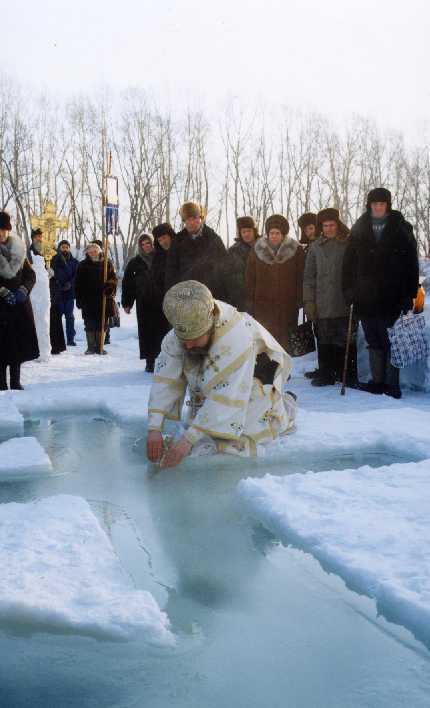 I live in Denver, and every Theophany a bunch of the local priests here from different parishes gather together, head up to the continental divide of the Rocky Mountains, and toss a cross made of frozen water onto the Western slope, and one onto the Eastern slope. When these melt, they will travel with the melted snow pack and bless both sides of the continent when the waters flow over the land and soil. I do not leave many comments, but a very beautiful image and an equally beautiful description. Thank you. Orthodoxy is so different from evangelicalism. We talk about faith alone but matter has almost no place in our Christian life. You guys throw crosses down mountain slopes, bless waters (by physically touching), rejoice in depictions of Christ’s victories (icons), carefully give eucharistic bread and wine (body and blood), cross yourselves, and effectually baptize or anoint with oil. We talk about faith yet have no faith that anything even happens when we baptize or have communion. The local Orthodox priest joked to me once that the Orthodox would begin to consider reunion with the Catholic church “when she apologizes and gives us back our “stuff” (referring to the sack of Constantinople in 1204). I thought for a moment and then said to him “we don’t even have any “stuff” in evangelicalism. But the Almighty took on “stuff” that we might be saved. So keep doing stuff with stuff, it’s starting to make a lot of sense. This sunday will be my first Feast of Theophany and I’m looking forward to it. We will go from a center place in Frankfurt down to the Main river and there the blessing of the waters will take place. Right in the middle of our town we will celebrate. When I experiencend my first little blessing of waters (I don’t know the exact english term for this) in our church I was deeply moved. And without understanding most of the greek texts I even understood, what happend there. Christ in his incarnation an then in his baptism hallowed and sactified the matter, the whole earth so that the matter can be a sacrament, so that we can encaunter Him not “only” in our hearts, but also personal (again I don’t know, how to say it in english. We say: “leibhaft”), with all our senses, we are allowed to really touch the Holy (“to hagion” in greek): “O taste and see that the Lord is good!” (Ps 34,8a ). Christ did it then, when he lived as a human beeing on this earth and he did it right now when I was seeing the cross diving into the water here in our church. Glory to God who comes so close to us! That is inspiring and very beautiful. And the picture! I know exactly what you mean, I have to say. That’s one of the things I’ve been discovering lately, too. Father Stephen, This is a wonderful post. I am a frequent reader. I am an a Anglican by confession, and I was wondering if you could explain some of the differences between this feast day and the feast day in the Western calendar (Anglican) the feast of Epiphany? Is there some connection? I love the imagery here. And as someone who earlier posted about doing “stuff” We in anglicanism do stuff, but I do love many things in the orthodox world. In the Anglican Church in recent liturgical revisions, the Feast of the Epiphany commemorates the Visit of the Magi (and thus takes on a note of evangelical proclamation) and the following week (under influence from the East) celebrates the Baptism of Christ – but really without much theological content on the latter. The treasury of Orthodoxy, in many ways, is its liturgical life, texts, icons, hymns, etc., all of which form a seamless garment of doctrine and revelation in our salvation through Christ. There really is nothing else to which it compares in Christendom. Every reform that has occurred elsewher, has shortened and condensed, etc., until only a few threads of the garment remain and they don’t fit together very well at all. It took several maybe even a few more than that liturgical cycles as an Orthodox priest to begin to see the utter richness and interwoven character of the ancient Church year. 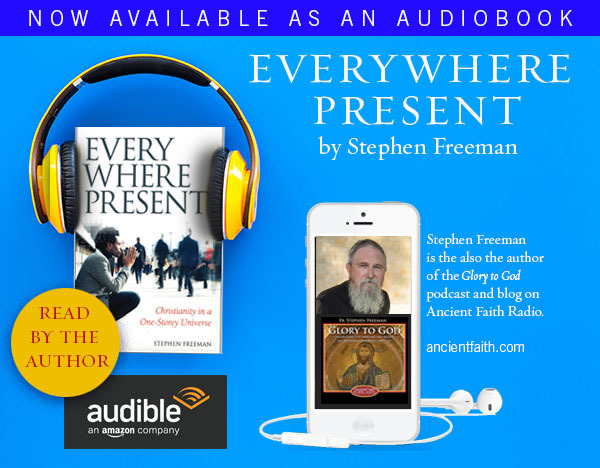 That both Christmas and Theophany are patterned on Pascha, in almost every aspect, open up and exegete those feasts and their texts in a way that nothing else does. The West has separated everything and made things so discreet that each one stands, more or less on its own, and languishes there. Cranmer produced a nice prayer book, but he threw away a beauty that the West may never recover. Those working on materials for the Western rite in Orthodoxy are working to reverse some of this. I’m not very familiar with their work and thus could not comment on what success they may or may not have had. But I am deeply grateful for the suffering and faithfulness within the Orthodox Church that has preserved this fullness of Christianity – not only for the Orthodox, but for the whole world. II will see you there? I attend Holy Theophany in Colorado Springs, Bishop Benjamin is coming this year! I have done a good deal of study of the true BCP (1549-1928). What does hold together is almost always inspired by Cranmer’s reading in the Fathers and his resourcing the Liturgies of St. John and St. Basil. This is often most evident in the Collects. handmaid, I just may go. I don’t have anything planned this coming Tuesday, so I think it would be a great time. Speaking of “doing stuff with stuff,” it kinda makes you wonder if Paul really believed that by the laying on of his hands that Timothy actually received a gift from God. Hmmm……. 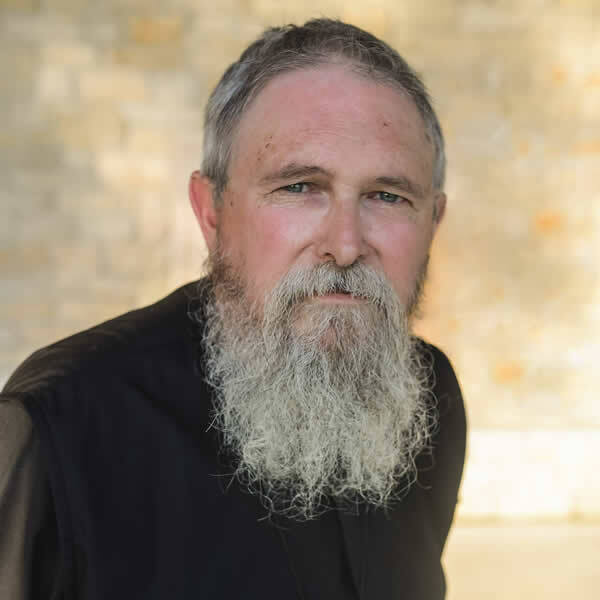 I haven’t posted here much, but you may recall I’m a Byzantine Rite Catholic. I have a friend whom I coaxed out of evangelicalism who then skated right past Catholicism (where I would have had him stop) and into Orthodoxy. While I was happy he wasn’t protestant anymore, it had been weighing heavily on my heart that he wasn’t Catholic. All that is to say that reading your blog these past few months has made me feel a whole lot better about the situation. We have so much in common. I wish there could be complete unity (and pray and hope and believe that there will be someday) but until there is, I’m glad that we share the liturgical year and icons and all the richness of the East. As a side note, though modernization has left many parts of the Anglo church without the richness of the Church year, that doesn’t mean that the Roman calendar is devoid of value. It might not be the Eastern year (which is my tradition and I love it dearly) but Roman rite spirituality and the ebb and flow of their liturgical time is different, not worse. Just food for thought. Thanks again for all you write! Remember well that what is worthy of praise in you is not yours, but God’s. It was, indeed, something we acquired, because we tried to acquire it, but who gave us the disposition, ability, strength, desire, and opportunity to obtain it, if not God… so when you perceive in yourself something worthy of praise, immediately ascribe it not to yourself, but to the Lord God. I only mean to say, rejoice that your friend is a Christian and that the Lord gave you a role to play. That is wonderful, other than that, everything is the Lord’s. How true this is, Father. And sadly you don’t see this when you are in it – when you have grown up in the reformed tradition and know nothing else. But once you are Orthodox, this becomes more obvious over time. Thank you for this wonderful post and for all of your posts which are always so helpful.